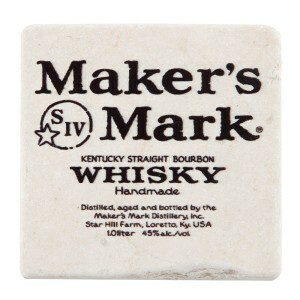 The plaintiffs in the case, Dimitric Salters and A.G. Waseem, claimed that Maker’s Mark is not handmade because some mechanized and/or mechanical processes are used. A similar case against Maker’s Mark is still pending in California, and several other brands have been targeted because of wording on their labels. I applaud the judge’s ruling in this case. I cannot believe that reasonable people who purchase Maker’s Mark are doing so because they believe that only human hands are involved in every single step of its production. Human hands do in fact dip each and every bottle into that signature red wax, and one could argue that it takes human hands to operate the machinery that does things like grind the corn into mash, too. In other news, I hear that a class-action lawsuit is brewing against Keebler after it was revealed that their cookies are not actually baked by elves in a hollow tree. When I visited Maker’s Mark a few years ago, I enjoyed being able to dip the bottle I purchased into the red wax. My congratulations to the Judge for having good judgment .